014 Sled style stool base with quick release feature. 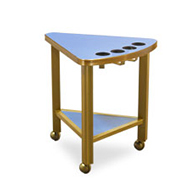 Welded frame construction with moreSled style stool base with quick release feature. Welded frame construction with high strength aluminum base and column. Standard with durable powder coat finishand fixed seat height or with the optional adjustable seat height. 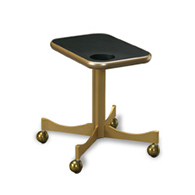 026 4-Leg stool base with aluminum decorative round extruded leg. 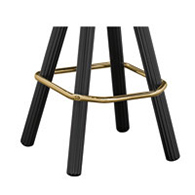 High strength alum more4-Leg stool base with aluminum decorative round extruded leg. High strength aluminum frame with heavy gauge steel circular footrest. Welded frame construction with lock-bolted footrest. Standard with durable powder coat finish, finished leg glide surface and 360 degree full-race ball-bearing swivel. 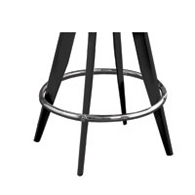 029 4-Leg stool base with aluminum decorative round extruded leg. 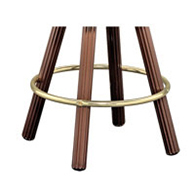 High strength alum more4-Leg stool base with aluminum decorative round extruded leg. High strength aluminum frame with heavy gauge steel extended footrest. Welded frame construction with lock-bolted footrest. Standard with durable powder coat finish, finished leg glide surface and 360 degree full-race ball-bearing swivel. 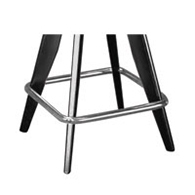 047 4-Leg stool base with solid aluminum tear-drop extruded leg. 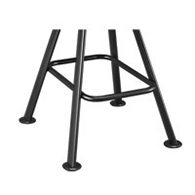 High strength alumi more4-Leg stool base with solid aluminum tear-drop extruded leg. 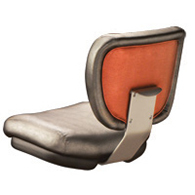 High strength aluminum frame with heavy gauge steel extended footrest. Welded frame construction with lock-bolted footrest connection. Standard with durable powder coat finish, finished leg glide surface and 360 degree full-race ball-bearing swivel. 062 Sled style stool base with locking feature.Welded frame construction with high s moreSled style stool base with locking feature.Welded frame construction with high strength aluminum base and column. Standard with durable powder coat finish and fixed seat height or with the optional adjustable seat height. 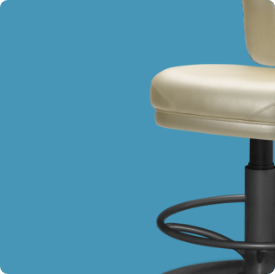 090 4-Leg stool base with solid aluminum tear-drop extruded leg. 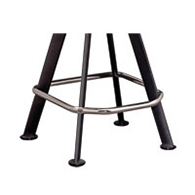 High strength alumi more4-Leg stool base with solid aluminum tear-drop extruded leg. High strength aluminum frame with heavy gauge steel square footrest. Welded frame construction with lock-bolted footrest connection. Standard with durable powder coat finish, finished leg glide surface and 360 degree full-race ball-bearing swivel. 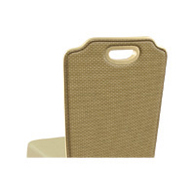 092 4-Leg stool base with solid aluminum tear-drop extruded leg. 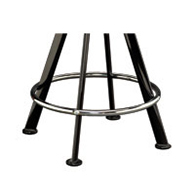 High strength alumi more4-Leg stool base with solid aluminum tear-drop extruded leg. 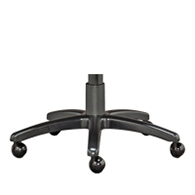 High strength aluminum frame with heavy gauge steel circular footrest. Welded frame construction with lock-bolted footrest connection. Standard with durable powder coat finish, finished leg glide surface and 360 degree full-race ball-bearing swivel. 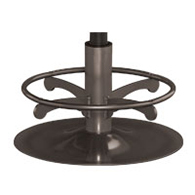 100 5-Vane cast aluminum chair base with straight style vanes. 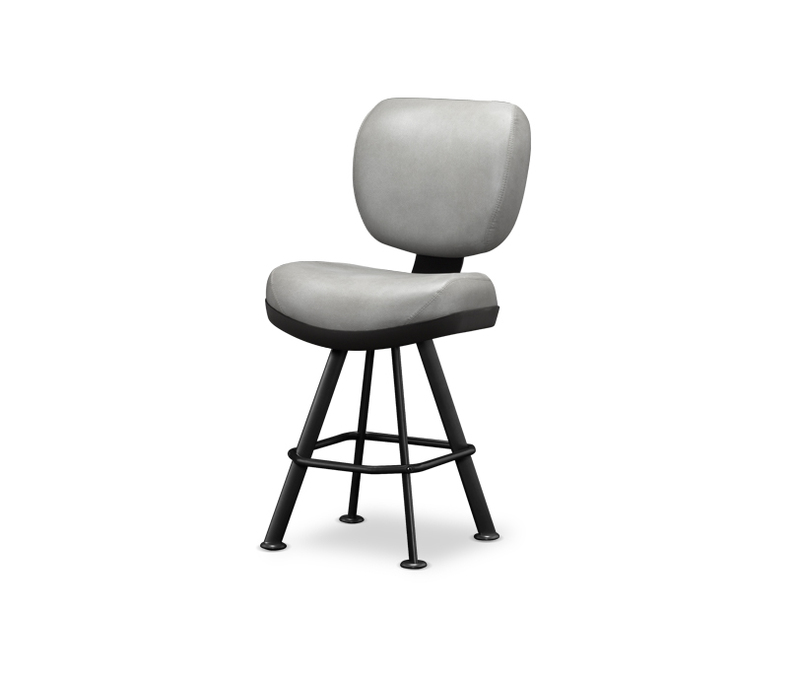 Standard with metal b more5-Vane cast aluminum chair base with straight style vanes. Standard with metal ball casters, swivel with height adjustment and durable powder coat finish or polished aluminum finish. Available with tilting mechanism on some models. 113 4-Leg stool base with solid aluminum oval extruded leg. 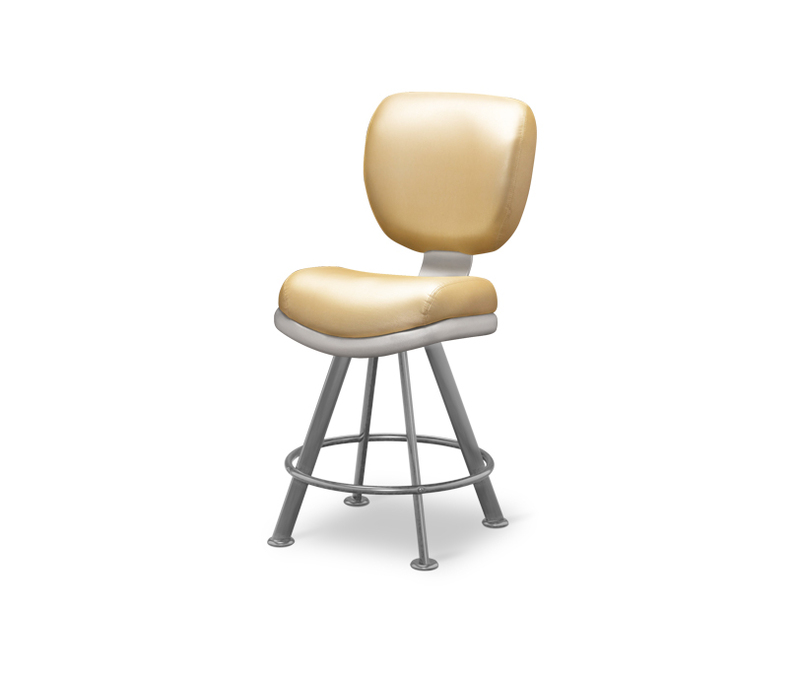 High strength aluminum f more4-Leg stool base with solid aluminum oval extruded leg. High strength aluminum frame with heavy gauge steel circular footrest. Welded frame construction with lock-bolted footrest and glide connection. Standard with durable powder coat finish, mega glides and 360 degree full-race ball-bearing swivel. 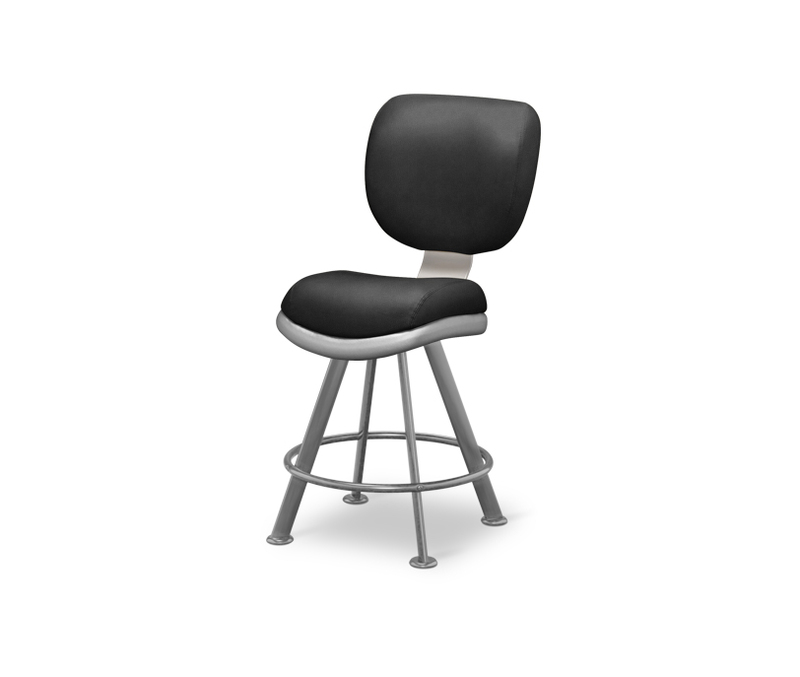 133 4-Leg stool base with solid aluminum oval extruded leg. 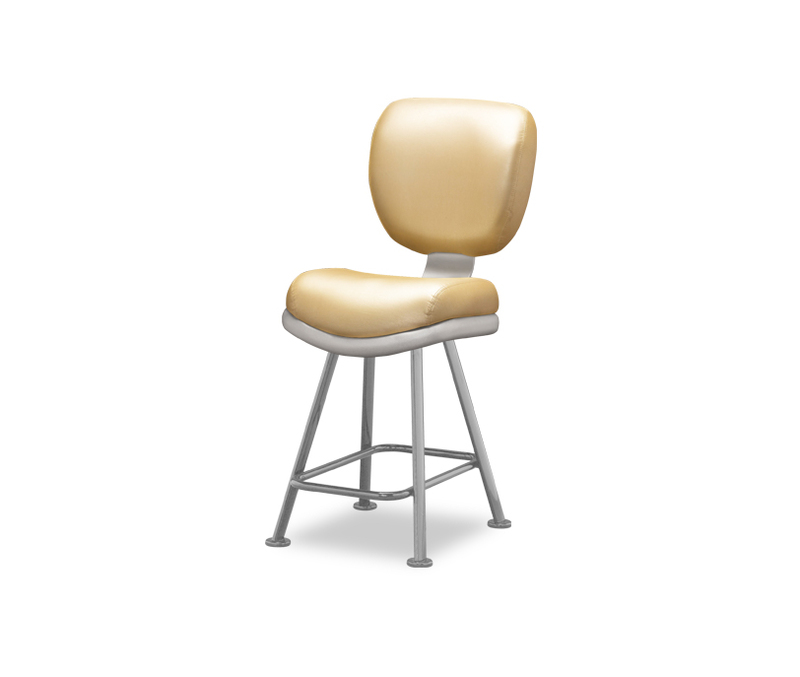 High strength aluminum f more4-Leg stool base with solid aluminum oval extruded leg. High strength aluminum frame with heavy gauge steel extended footrest. Welded frame construction with lock-bolted footrest and glide connection. Standard with durable powder coat finish, mega glides and 360 degree full-race ball-bearing swivel. 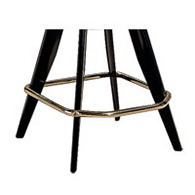 153 4-Leg stool base with arched solid aluminum oval extruded leg. 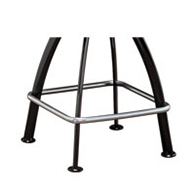 High strength alu more4-Leg stool base with arched solid aluminum oval extruded leg. High strength aluminum frame with heavy gauge steel square footrest. Welded frame construction with lock-bolted footrest and glide connection. Standard with durable powder coat finish, mega glides and 360 degree full-race ball-bearing swivel. 158 Gasser’s Patented ‘HALO’ disc base with heavy gauge steel circular footres moreGasser’s Patented ‘HALO’ disc base with heavy gauge steel circular footrest and arched supports. 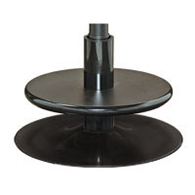 Formed steel disc encased with a specialized coating to enhance the mobility of the base. Standard with durable powder coat finish and fixed seat height or with the optional adjustable seat height. 159 4-Leg stool base with solid aluminum oval extruded leg. High strength aluminum f more4-Leg stool base with solid aluminum oval extruded leg. 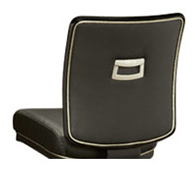 High strength aluminum frame with internal rectangular footrest. Welded frame construction with lock-bolted glide connection. Standard with durable powder coat finish, mega glides and 360 degree full-race ball-bearing swivel. 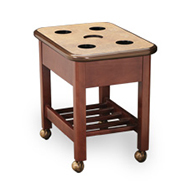 162 Gasser’s Patented ‘HALO’ disc base with laminated circular footrest and pr moreGasser’s Patented ‘HALO’ disc base with laminated circular footrest and protective perimeter edge. 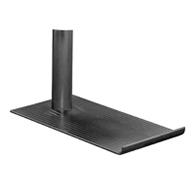 Formed steel disc encased with a specialized coating to enhance the mobility of the base. Standard with durable powder coat finish and fixed seat height or with the optional adjustable seat height. 164 Gasser’s Patented ‘HALO’ disc base with heavy gauge steel circular footres moreGasser’s Patented ‘HALO’ disc base with heavy gauge steel circular footrest and high strength aluminum scroll supports. Formed steel disc encased with a specialized coating to enhance the mobility of the base. 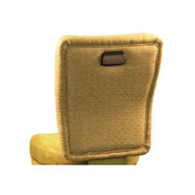 Standard with durable powder coat finish and fixed seat height or with the optional adjustable seat height. 166 Gasser’s Patented ‘HALO’ disc base. 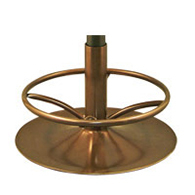 Formed steel disc encased with a speci moreGasser’s Patented ‘HALO’ disc base. 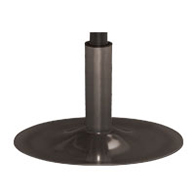 Formed steel disc encased with a specialized coating to enhance the mobility of the base. 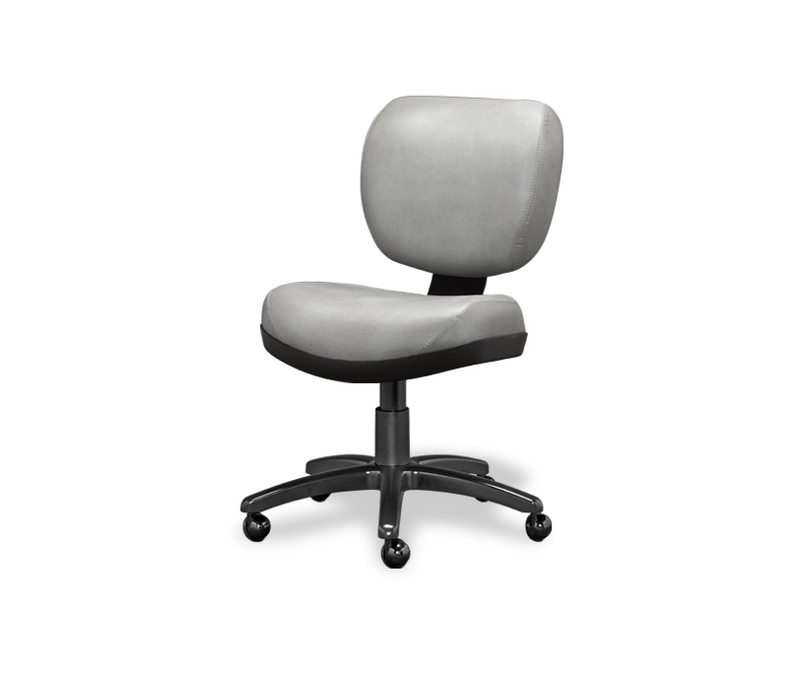 Standard with durable powder coat finish and fixed seat height or with the optional adjustable seat height. 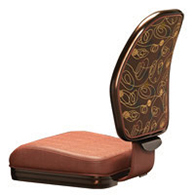 170 Gasser’s Patented ‘HALO’ disc base with laminated crescent footrest and pr moreGasser’s Patented ‘HALO’ disc base with laminated crescent footrest and protective perimeter edge. 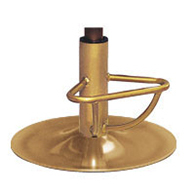 Formed steel disc encased with a specialized coating to enhance the mobility of the base. Standard with durable powder coat finish and fixed seat height or with the optional adjustable seat height. 175 Gasser’s Patented ‘HALO’ disc base with high strength aluminum trigonal fo moreGasser’s Patented ‘HALO’ disc base with high strength aluminum trigonal footrest and arched supports. 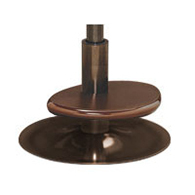 Formed steel disc encased with a specialized coating to enhance the mobility of the base. 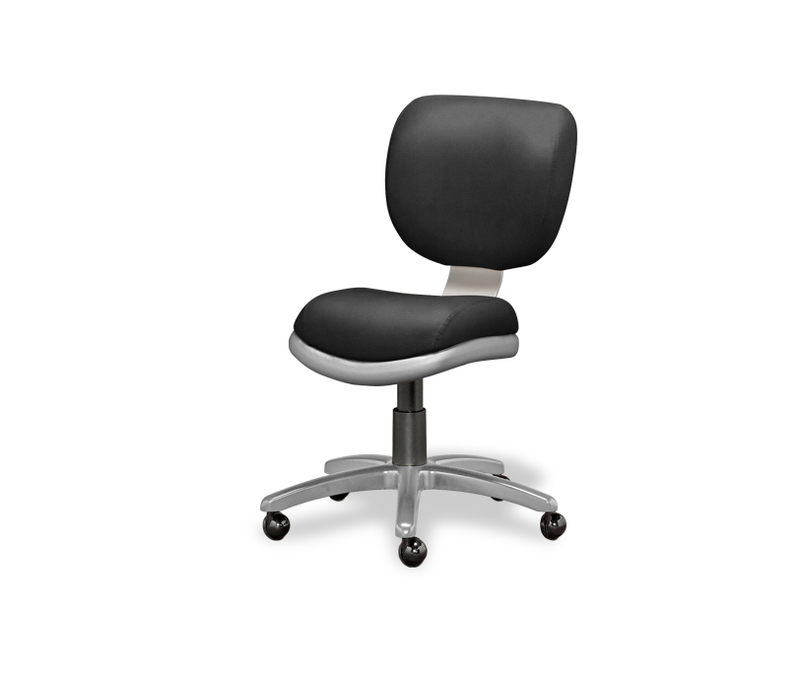 Standard with durable powder coat finish and fixed seat height or with the optional adjustable seat height. 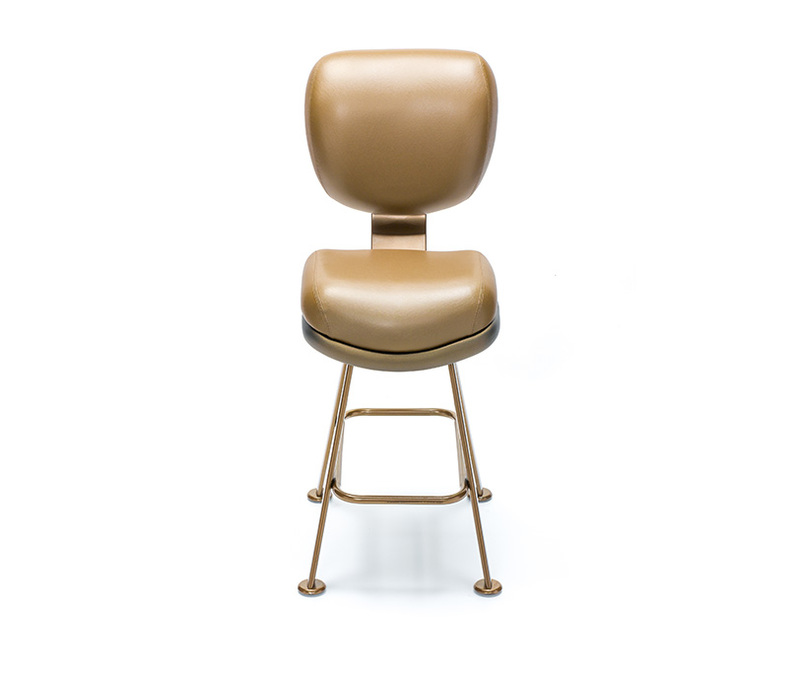 178 4-Leg stool base with solid aluminum oval extruded leg. 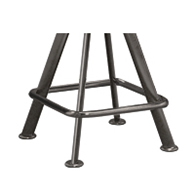 High strength aluminum f more4-Leg stool base with solid aluminum oval extruded leg. High strength aluminum frame with heavy gauge steel square footrest. Welded frame construction with lock-bolted footrest and glide connection. 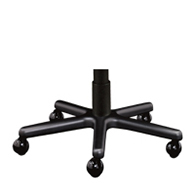 Standard with durable powder coat finish, mega glides and 360 degree full-race ball-bearing swivel. 5V 5-Vane cast aluminum chair base with arched style vanes. 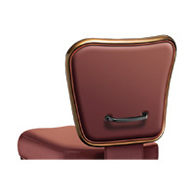 Standard with metal bal more5-Vane cast aluminum chair base with arched style vanes. 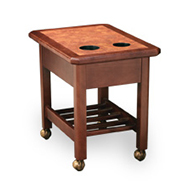 Standard with metal ball casters, swivel with height adjustment and durable powder coat finish or polished aluminum finish. Available with tilting mechanism on some models. OLT Ornate leg chair frame. High strength aluminum frame available with smooth, ribb moreOrnate leg chair frame. 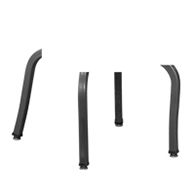 High strength aluminum frame available with smooth, ribbed or Murano tube profiles. 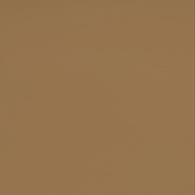 Standard with durable powder coat finish. 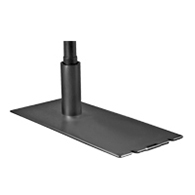 Available with premium carpet glides or multi surface glides, casters available on some models. SLT Straight leg chair frame. High strength aluminum frame available with smooth, ri moreStraight leg chair frame. 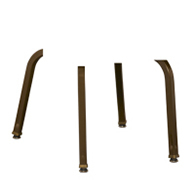 High strength aluminum frame available with smooth, ribbed or Murano tube profiles. Standard with durable powder coat finish. 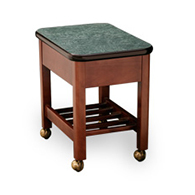 Availablewith premium carpet glides or multi surface glides, casters available on some models.